Very popular in Japan, these eggs are a must! Tobiko is the Japanese word for flying fish roe. These eggs are small, ranging from 0.5 mm to 0.8 mm. 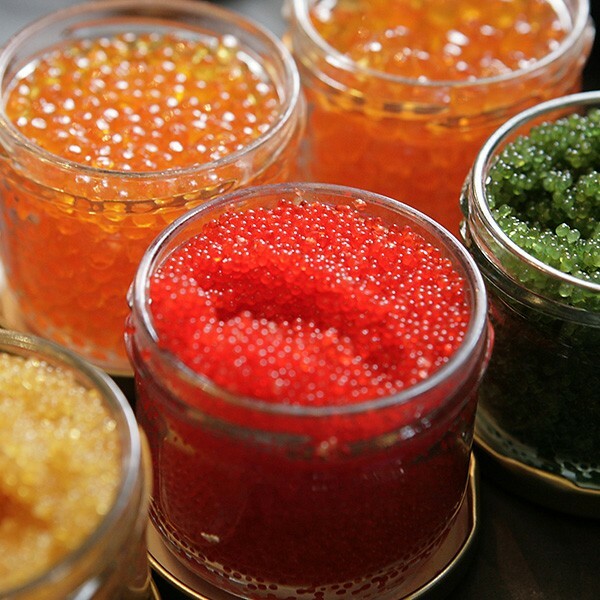 The Tobiko is slightly larger than smelt eggs (masago) and way smaller than salmon eggs (Ikura). Their grains are crunchy under the teeth. The natural Tobiko flavored with wasabi (green), ginger (orange) or squid ink (black).